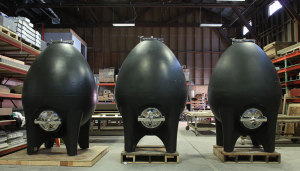 Sonoma Cast Stone, a growing legend in concrete fermentation tank science, and much more! 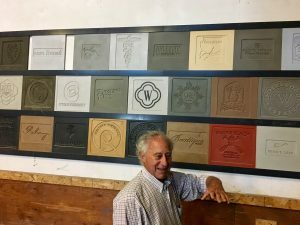 Steve in front of a small portion of the many branded concrete nameplates of wineries he has supplied with all manner of concrete and stainless equipment including Spottswoode, Frog’s Leap, Foley, Harlan, and Cuvaison. 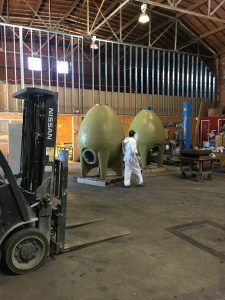 A couple of concrete egg fermentation tanks in the late stages of fabrication. 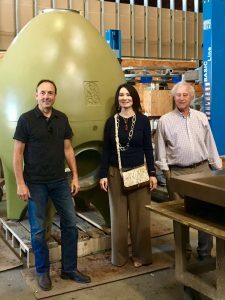 Linda Cano, executive director of the sizzling hot Sonoma Valley Museum of Art, and Steve, join me in front of a newish egg for Cuvaison. 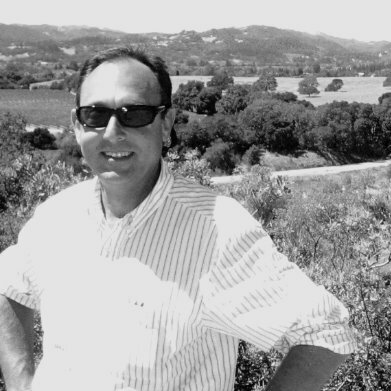 I am happily on the board of the Sonoma Valley Museum of Art, and likewise Steve and Martha are ever-reliable supporters. Linda (pictured here), and her fiancé David Keaton (climber of the tallest peaks on every continent, yes, including Everest) joined us on the tour of Sonoma Cast Stone. 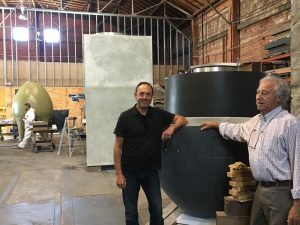 Steve and I are discussing the merits of this particular concrete tank, an absolute beauty in design, functionality, and finish. Three of my favorites – a trio of deep dark eggs ready to make some inky Sonoma red wine. A truckload of beauties headed out the door. Love this story and this biz, I had them build new kitchen counter tops / sink and matching mud room sink – fit on top of the 1950 original cabinets. What an amazing product – looks and performs so well and right here in my town. I’m in the coffee business. 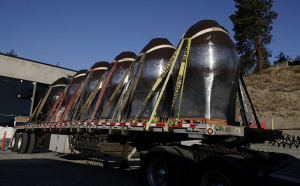 we do fermentations and I’m looking for suitable fermentation tanks to run trials with coffee. I saw your tanks, they look very good. Where can I get specifications, options and prices ?